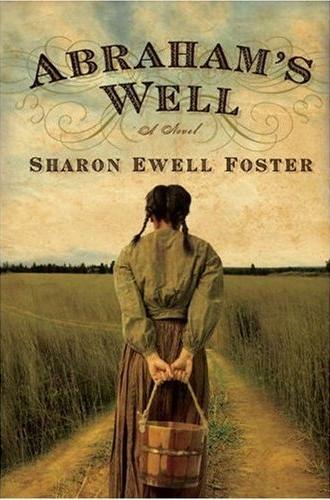 I just finished my friend, Sharon Ewell Foster’s Abraham’s Well: A Novel . Since I know Sharon and have enjoyed her books set in modern times, Ain’t No River and Ain’t No Valley this work of historical fiction was a departure. I can’t pretend that my review is unbiased so don’t say I didn’t warn readers. The story reminds me of The Autobiography of Miss Jane Pittman as it consists of an elderly woman looking back on her life during a significant historical period. Armentia, the main character, is African American and Cherokee. She lives in the 19th (and I suppose early 20th century) experiencing tribal life, slavery, the removal of Cherokee and other native Americans during the Trail of Tears and eventually freedom. It’s the story of an imperfect character, rather than a superhero, finding strength and courage to surmount injustice and hardship. I’m a sucker for such stories. For me historical fiction succeeds by teaching me and entertaining me and Abraham’s Well does both. Although I’ve read a little about the Trail of Tears and knew that some African American’s are part Native American, I had no knowledge of African American involvement in this chapter of American history. Sharon includes an explanation of why she decided to write about this topic and her family heritage as it relates to the themes of the novel. I found that quite interesting. I could see this making a good movie. The book reads very fast, as Bridget points out. Bridget’s also right about the chapters on the preaching but there’s probably less church-going in this story than the others I’ve read so I had a different view of that aspect. I didn’t mind it. I realize that Sharon’s fans will be looking for Christian fiction when they decide to read this novel. Engrossing and authentic, A Murder at Rosamund’s Gate by Susanna Calkins is set in 17th century England. It’s historical fiction mixed with mystery. Lucy Campion begins as a chambermaid for the Hargrave family. The head of the family is a magistrate who takes his duties seriously and treats one and all justly (so he’s a far cry from Poldark’s George Warleggan). When the lady’s maid, Lucy’s friend the teasing, lively Bessie disappears she’s soon found murdered. She had run off with the family silver in the middle of the night. Rumor had it that she went to meet a lover. She was sweet on Lucy’s brother Will and he’s accused of her murder, but it seems he’s been the victim of rumors and gossip in an era before the press had to fact check. In fact, most people got their news from sensationalized broadsheets sold for a penny. Lies could easily gain credence and be given ad testimony. Will was Bessie’s beau, but she also was spending time with a libertine portrait artist who makes Lucy’s skin crawl. Lucy isn’t the typical rebel but she will defy social conventions to visit her brother at Newgate prison or to gather some evidence on the murder that took place at the same spot. At an event at my public library, author and historian Susanna Calkins spoke of being intrigued by murder ballads that people in this era would sing, or buy and paste on their homes as decorations. These ballads inspired this fascinating story, that weaves historical detail throughout in a natural way. In addition to murder the story features a touch of romance, which added a nice contrast to gruesome murder. I learned a lot about life and history circa 1665. I didn’t know there was a plague that year, or that at a trial the accused, not the lawyer did all the interrogation. They took “face your accuser” very seriously. I didn’t know that warm potatoes were put in someone’s bed to keep it warm. There’s a whole lot more, but I suppose you should read the book to learn for yourself. This story would be great on Masterpiece Theater. It’s a lively read and I found the characters well developed and engaging. I want to read more of Calkins’ work.My one quibble is the ending. Towards the end, when we discover who murdered all these servant girls, the murderer gives a long-winded monologue (well a couple questions were sprinkled in). I just didn’t buy that he’d elaborate in such detail. Masterpiece’s new drama, Victoria, stars Jenna Coleman as the famed British queen. Beginning when Victoria’s uncle dies and she changes her name from Alexandrina to use Victoria, her middle name, and she becomes the monarch. From the start Jenna Coleman’s Victoria stands up for herself opposing the manipulative Sir John and her plotting uncle. After two episodes, I’m drawn in and eager to see how Victoria handles her power and how she and Albert finally end up together. In episode two the focus is on the question of whom Victoria will marry. Her heart, she believes, belongs to Lord Melbourne, her prime minister whose wife ran off with Lord Byron, the poet. In the drama, he lets Victoria know that they can never be together. The first episodes feature sumptuous costumes and settings. The story moves along nicely. There’s a B story focused on a maid, who’s hiding her past working in a bordello. I’m not sure where that’s going. The maid is elusive and stand offish with the cook, who tries to get to know her. That story hasn’t grabbed me, but perhaps in time, I’ll develop more of an interest. Victoria has a different feel and tone than Downton Abbey or Poldark, so it shouldn’t be judged on their terms. In its own right it’s a fine drama. On Sunday I met with the sister to hear what her brother thought. I had hoped for specific suggestions that I could use to revise. I’d be foolish to think I’d get an immediate acceptance. Now like me, this woman isn’t a neat freak. (But in my creative chaos I can find stuff.) After sharing some tea and getting up to date on our families, she stood up and said, “Where did I put my notes from my talk with B____?” As I scanned the numerous piles of papers, books, etc. I thought, “Dear God, she’ll never find it.” And she didn’t. Oh, well. However, she did remember his main comments. The writing was good, better than most he sees. That’s encouraging. Hollywood wants Star Wars — in everything. They want Star Wars plots cloaked in whatever genre you’re writing in. Oh, no. Where does that leave me since I have no desire to offer Star Wars with horse-drawn carriages, hoop skirts and top hats. While the BBC and itv have produced period dramas for decades, it’s not an American genre. B____ did share the idea with some network folks, but they thought “Period pieces are too expensive” and hence not easy to sell. Well, perhaps Mercy Street will be popular and that will change, though I doubt it. Also, Julian Fellowes is supposed to be creating an NBC series set in the past. To save money, the number of regular characters should be no more than six. I have the family, servants and people who work with the hero. I’ll cut some servants and colleagues. One friend suggested eliminating the servants completely. Hmm. I’ll mull that over and think I’ll keep a few. If I show this to someone else who wants more cut, I’ll comply. But I do like showing the differences between servants in the US and the UK. There were one or two more suggestions, which I can work on, but this mania for Star Wars vexes me. I had heard the theory that Star Wars’ big profits put an end to the development of sophisticated films, which the 1970s was known for. Now that the latest Star Wars film has broken box office records, I can see that greed gets stepped up. No doubt it’s the buzz in Hollywood and the way to ensure your career is to find the next Star Wars or simply copy the original. I’ve started a fascinating class in historical fiction, for readers or writers, through Coursera. It’s called Plagues,Witches & Wars: The Worlds of Historical Fiction. It’s free and offered through Coursera by the University of Virginia. I’m just in week 2 and am learning about the roots of historical fiction. The professor is knowledgeable and the lessons for each week come in 10-20 minute lengths, perfect for little gaps of time. If you want to learn about a particular subject, you can browse Coursera, which has lots of courses in all areas. Some you must pay for and some offer a certificate if you pay. Let me know in the comments if you see something interesting and sign up for it. After enjoying the Masterpiece 2015 version of Winston Graham’s Poldark, I read the book. Set in the late 18th century, Poldark is the first novel in the series about the Poldark family. It’s a family with some interesting facets. The side headed by Charles Poldark is quite refined and wealthy. The side headed by Joshua Poldark, Charles brother was less fortunate. Joshua had two sons and one died as a child. His wife died young. His son Ross, who’s the central character in this novel, got into gambling trouble and was urged to fight in the American colonies to let matters at home cool. Joshua didn’t have great success with his mining or farming interests and dies before he can see his son Ross return from the war. Ross’ death becomes a rumor that takes hold in Cornwall. His true love believes it and winds up engaged to his cousin. His family’s drunk and disorderly servants believe it and they let the property fall to almost ruin. This book covers about half the events that you see in season one of the 2015 television series. Ross intrigues as he’s a bridge between classes. He understands his periwigged relatives as well as the villagers who scrape by and have no standing in a court of law where the scales are tilted in favor of the gentry. Even though Ross has little money, his rank puts him far above the villagers, yet as Demelza, the urchin girl he saves from her drunken abusive father, points out Ross can fit in either social circle. In the book, readers get more of Graham’s well drawn characters, like Demelza who becomes the spirit of Ross’ home, Prudie and Jud, who curse and complain at every turn, Elizabeth, Ross’ former love and Francis, his cousin. At the start of the book Demelza’s 14 and then the story jumps ahead to when she’s 17, which I’d have liked to see. This gap between the rich and the really rich intrigues and I’m trying to figure out how these families trained their servants so that in a few generations they no longer spit, cursed and drank way too much. The story moves along quickly and includes some events I wish the 2015 series had. I’m ready to start on the second novel Demelza once I finish my other books. *In the 1970s the BBC produced the first Poldark series. I’ve spent a good part of the summer researching for a historical fiction writing project that’s captured my fancy. When I left Chicago two weeks ago I had written 25% of the project’s first draft and lots of research done. I went to a lecture at a library on the era and was delighted that I knew everything — and a little more of what the author said. My goal for the fall is to complete this project. Teaching has a way of demanding and eating up time. I’m on hiatus from grad school which also eats up time. Both school and teaching can be never-ending. There’s always some way you can do more to a project or curriculum. I want to keep writing and finish the first draft this month. I’m now at the 30% mark and have gotten more ideas. This is the first historical fiction project I’ve done and thanks to my library reference classes I had the knowledge and gumption to work with primary sources. Tuesday was quite productive. I only teach one class on Tuesdays and my plan is to spend the afternoon writing. That night I did some research, but my new ideas were so exciting, I couldn’t get to sleep. So now I’ve learned I have to write before dinner and do my planning and grading at night. This afternoon was a wash. After lunch a drowsy cloud kept creativity at bay. I gave in figuring I can write on Wednesday nights since I don’t teach on Thursdays. Watch this space for progress reports. I need to keep myself accountable and I need to finish and polish the project.